So some of you know that I just got back from a holiday. I was in Japan. And boy oh boy! I must say, it is such a great country to visit! They are so hi-tech and efficient. Everything is automated, even the toilets! There were so much food, all the knick knacks. I went to Kyoto, Osaka, Tokyo (Shibuya - that's where the Hachiko statue is at, will tell you a story about it another time if you dont know already, Shinjuku, Harajuku, Ginza, Ikebukuro), Mt. Fuji all in 5 days! Definitely was a hectic one, but I must say it was really fun! Will definitely go back there again! A common sight of vending machines across Japan, and they are working properly, no vandalism. Can you see how beautiful these are. Famous Shibuya Crossing that usually appears in movies!! Hachiko statue! Such a sad but touching story! 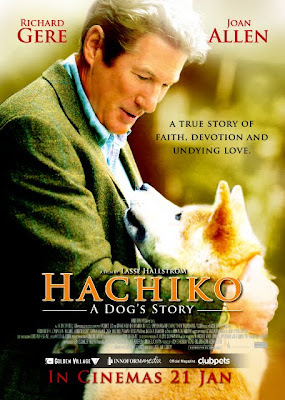 There's movie out starred by Richard Gere, should go and watch it. More updates in the next post. Dear reader, thanks for visiting still. I know I haven't been updating much.